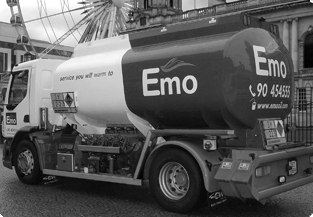 Emo Oil supplies commercial fuel to a broad range of industries and sectors throughout Ireland on a daily basis. We have been delivering heating oil to a broad range of industries and sectors across the Republic of Ireland for over 30 years and, in that time, we’ve earned a good reputation based on the quality and dependability of our products and services. Over the years we have learned how busy the school year can get, but Emo customers can rest assured that their school will have all the heating oil they need to keep students and staff warm when the temperatures start to drop. As an Emo commercial customer, schools get their own dedicated account team who can make sure you never run out of oil. The Emo account team handles all customer service elements, including account management, order facilitating and providing our customers with accurate real-time market information. At Emo we are committed to delivering the best quality oil at competitive prices. We’re also dedicated to providing a reliable, transparent service to all our customers. 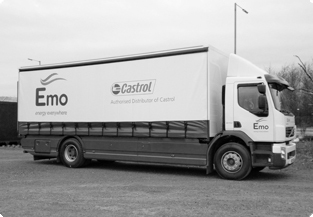 Emo has a state-of-the-art fleet of lorries on the road, with GPS tracking to help deliveries arrive on time. And all our trucks are equipped with precise measuring technology that ensures deliveries are always accurate down to the last drop. Give us a call at 1850 366 425 to discuss your school heating oil needs. Alternatively, contact a member of our team by clicking on the team member icon on the right-hand side.